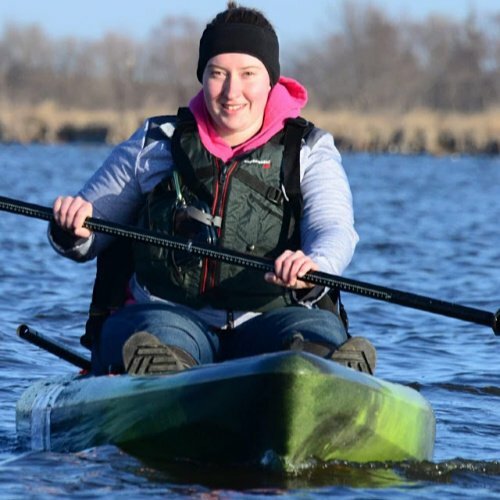 Janeen enjoys the outdoors – whether it is kayaking, canoeing, hiking or cross-country skiing. She has been to the Boundary Waters Canoe Area, Porcupine Mountains, Apostle Islands, Colorado Rockies and the Upper Peninsula of Michigan. 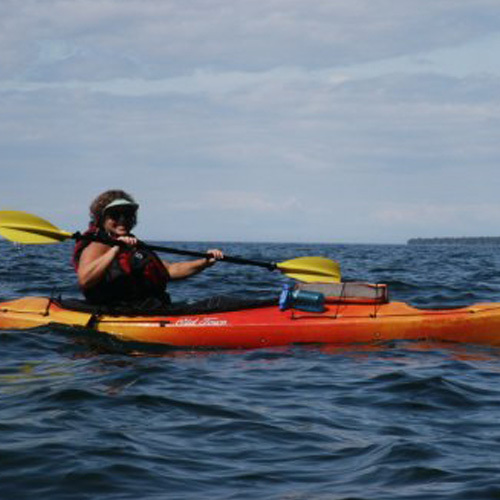 Janeen’s favorite outdoor destination is the North Shore of Lake Superior. A longtime Scouter, Mark has a wealth of knowledge about camping and outdoor activities . . . and has a lot of experience in these areas, too. 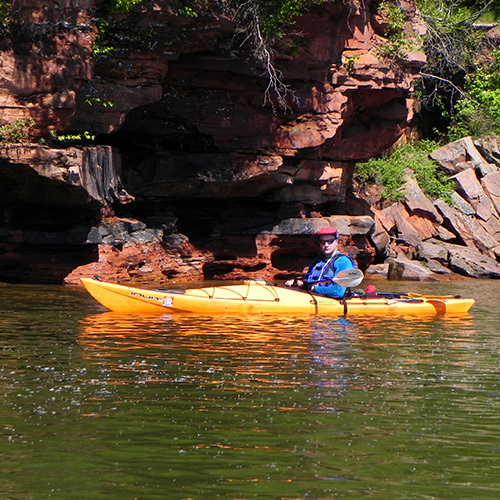 Mark has kayaked at Apostle Islands and Isle Royale as well as backpacked at Philmont Scout Ranch. He is currently working on building his own wooden kayak. Al retired, was looking for the most fun job he could find in Iowa’s Cedar Valley. He found CrawDaddy Outdoors. Longtime Scouter, he enjoys camping, backpacking and kayaking. Al has joined CrawDaddy Outdoors on the Flambeau River, Red Rock, Apostle Islands, Isle Royale, and Pictured Rocks National Lakeshore trips. 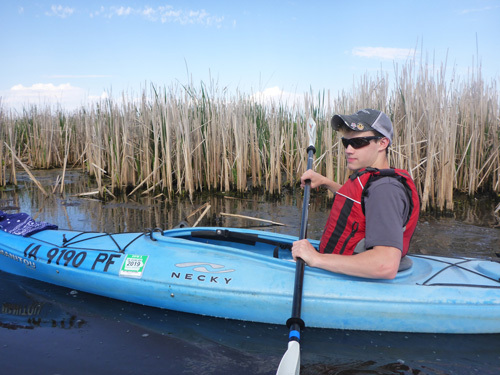 He has kayaked Rainey Lake in Voyager National Park as well as the Slate Islands in Lake Superior In fall 2012. He has also hiked at Philmont Scout Ranch in New Mexico. Riley is a senior studying Public Relations at UNI. 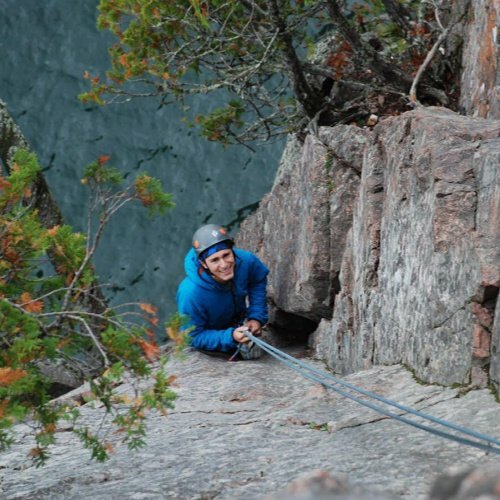 Riley is very passionate about rock climbing and has an array of outdoor climbing experience in places such as Devil’s Lake, Clear Creek Canyon, North Shore, and Jackson Falls. He also enjoys backpacking. After graduation, Riley plans on getting a cool job out west. His favorite part so far about working at CrawDaddy Outdoors is the awesome staff. Sam is a junior studying Environmental Conservation at Upper Iowa University. She is beyond excited for her future career as a naturalist, inspiring communities to dive back into outdoor recreation. She is also excited to offer opportunities for communities to learn more about their impacts on the land and wildlife. 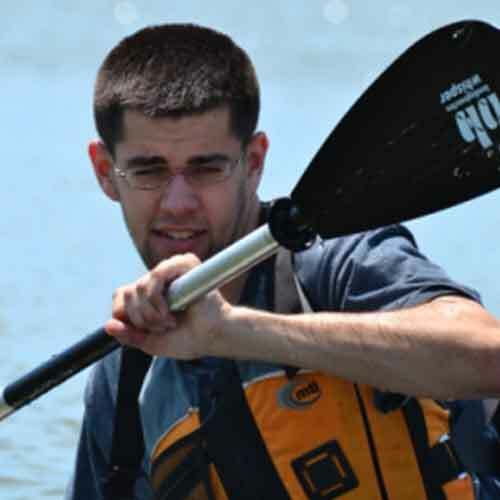 Sam enjoys kayaking, camping, snowshoeing, and going on CrawDaddy Outdoors’ trips. Sam competed in the Rugged Toad Triathlon and is planning on competing again next year. Ryan is a (pre-nursing) Neuroscience major with minors in Spanish, Leadership, and Intercultural Studies. His favorite outdoor activities include backpacking, outdoor photography, and sailing. Some of Ryan’s favorite locations include the Bighorn Mountains of Wyoming and Washington D.C. After graduation, he plans to go to Allen College to get his BSN and become a traveling surgical nurse. 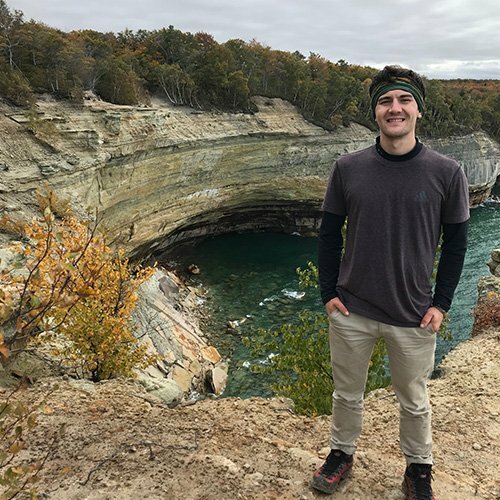 Ryan really enjoys working at CrawDaddy Outdoors, because it provides the opportunity to learn about outdoor products and gain more knowledge on various outdoor recreation activities. Chris is a senior at UNI studying Economics and MIS. She loves backpacking and has found time to hike parts of the Appalachian Trail, Grand Canyon, and Pictured Rocks National Lakeshore. 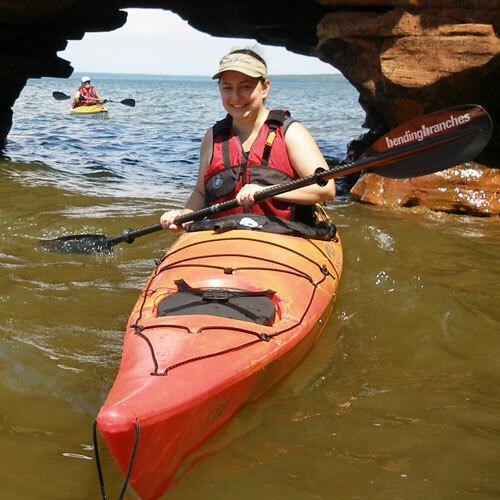 She enjoys the opportunities that have come along with working at Crawdaddy Outdoors including adventuring to the Apostle Islands as well as working with awesome customers. Eamonn is a swimmer and runner at Gustavus Adolphus in Minnesota. 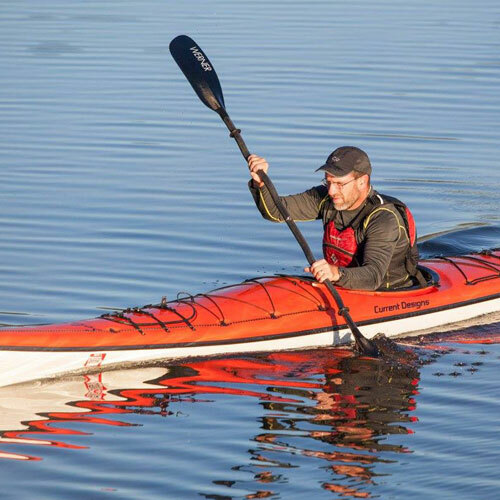 In some of his rare free time he gets out and paddles his Necky Manitou sport kayak, usually with fishing gear on board. 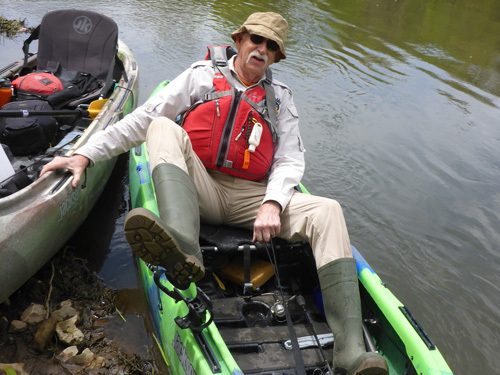 He has co-led several river trips through CrawDaddy Outdoors and enjoys both learning about and teaching people about all the awesome stuff you can do in the wild. 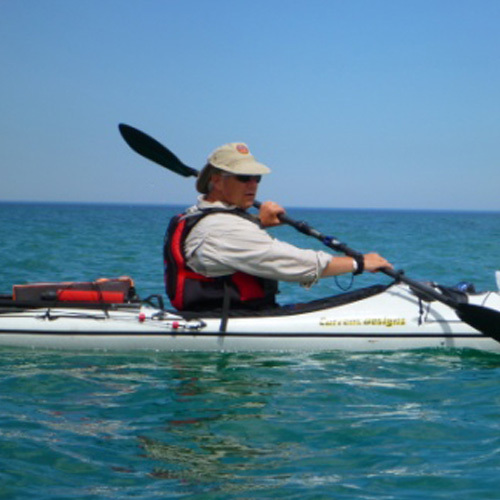 Retired from the cattle and horse industry, Jim has always enjoyed canoeing, skiing and spending time outdoors. 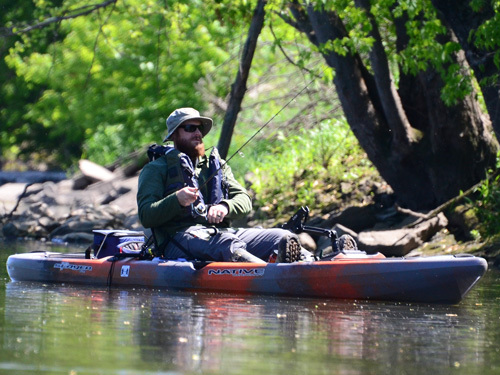 He has floated many of NE Iowa’s rivers and has made numerous trips to the Boundary Waters. He also likes to camp in the Black Hills on horseback. Jim has never been lost, but misplaced many times. If you need a “cowboy” dutch oven cook or a story teller around the campfire, then Jim is your man. Austin is a Waverly Shell Rock student who fishes more than he is in school. He participates in competition trap shooting and recently attained his driver’s license. Austin is our muscle at kayak demos and will soon attain the status of Eagle Scout through all his hard work. Austin has made multiple trips to the Boundary Waters since he was a young kid. Lucas is a senior at UNI studying Ecology, Evolution, and Organismal Biology. He loves to rock climb, especially at Clear Creek Canyon in Golden, Colorado. He likes working at CrawDaddy Outdoors, because he enjoys helping people prepare themselves for all kinds of adventures. He always looks forward to helping customers and hearing their stories. 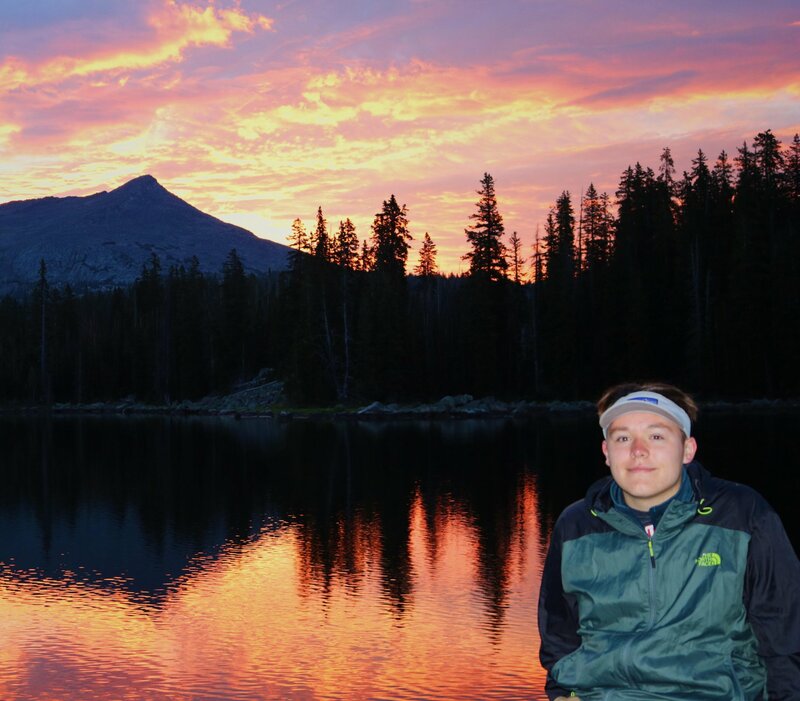 After graduation, Lucas would like to travel to gain more outdoor recreation experience. 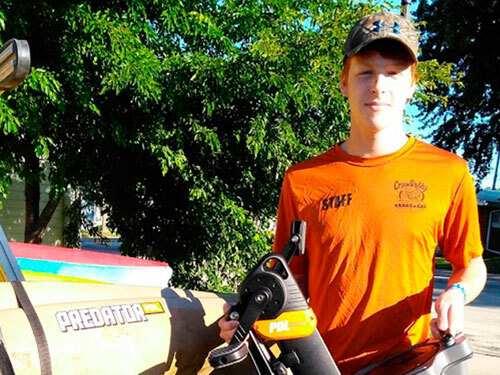 Brandon has been a long time employee of CrawDaddy Outdoors through his years spent studying at Wartburg. He is now a full time employee with Wartburg but still has time to stop in and work with the team from time to time. Brenda is a retired teacher and world traveler. She has literally been around the world. 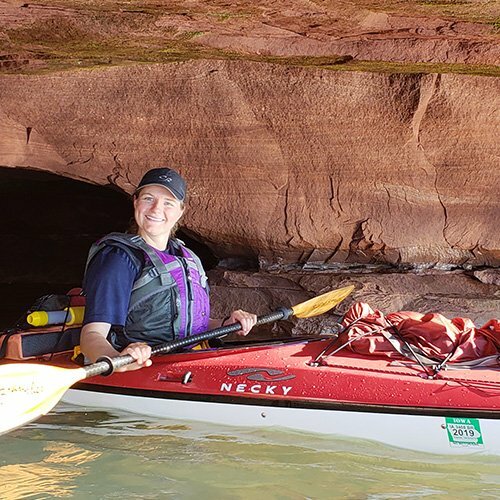 In the U.S., she has been kayaking at the Apostle Islands, backpacked and kayaked at Isle Royale National Park and has canoed the Boundary Waters Canoe Area. If you want to know about great places to travel, Brenda is your go-to person. Levi is busy as a nurse at Allen Hospital, but gets to work at CrawDaddy Outdoors from time to time. He is our kayak fishing expert and occasionally catches some fish. Vince is a recent graduate of the University of Idaho, where he majored in History and minored in Outdoor Recreation Leadership. 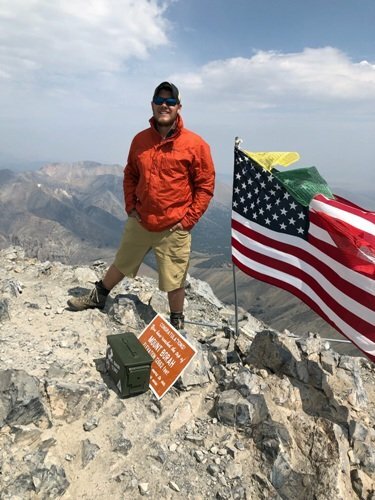 He has a lot of experience in outdoor recreation, including the completion of two NOLS backpacking expeditions, working for the U.S. Forest Service, and co-leading backpacking trips for the University of Idaho’s Outdoor Program.